Even, if you take effective care of your oral health at home, still bacteria growth happens in the mouth. They get together with the by-products of foods that you eat and proteins that you consume to form a sticky film known as dental plaque. This, in turn, creates a coat on your teeth and get under your gum line. After getting into the gum line, it sticks to the fillings or other dental work. This plaque carries bacteria and can cause damage to your tooth enamel and can lead to cavities. With the regular removal of plaque, you can prevent gum disease and also tooth decay. But, if plaque is not removed, it can lead to bigger issues. The plaque is otherwise referred to as tartar and calculus. Tartar forms below and also above your gum line. This, in turn, can lead to gum disease and when you visit a dentist office, he will be using a special tool for removing the tartar. Most of us, with the fear of visiting a dentist leave the tartar as it is. 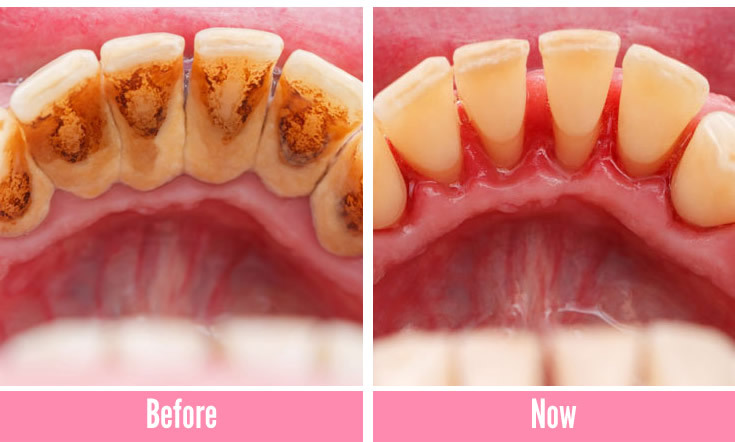 The good thing here is that you can get rid of yellow or brownish substance from your oral line with the help of a simple home remedy. Just add the 30 grams of nutshell in a pot that contains 200 ml of water. Just boil the pot for about 20 minutes. Allow the water to cool and then strain it and keep aside. Now, soak your toothbrush in this water for some time. Take out the brush and brush the areas of tartar for about 5 minutes. Just repeat this treatment for three times a day for nearly 10-15 days. You will see that your tartar has disappeared. 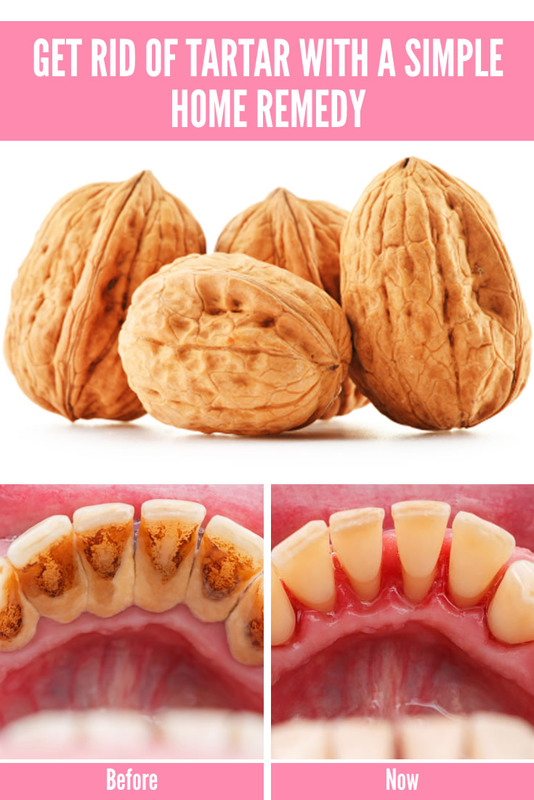 This single ingredient called nutshell can help you get rid of tartar at your home in a safe manner without having the visit a dentist. Will normal brushing help with removal of tartar? Of course, many of us brush and floss on a daily basis. But, doing these activities alone are not enough in the removal of tartar. The reason is that when you consume foods and sugar they stay in our teeth and you can remove the food remains from your dental line only if you brush after each meal. Otherwise, the remains will stay there and in some time, they become the excellent breeding ground for bacteria and forms plaque or tartar. You cannot remove the tartar with a regular brushing of your teeth. How can tartar affect your dental health? Tartar can make it hard for you to floss and brush and this leads to cavities and even can lead to tooth decay. The tartar that develops above your gum cannot do anything good for you. The reason is that the bacteria present there can irritate and can cause damage to your gums. This can lead to progressive gum disease in the longer run. So, removing tartar becomes important. Previous articleDo You Know, You Can Use Castor Oil for Hair Growth?